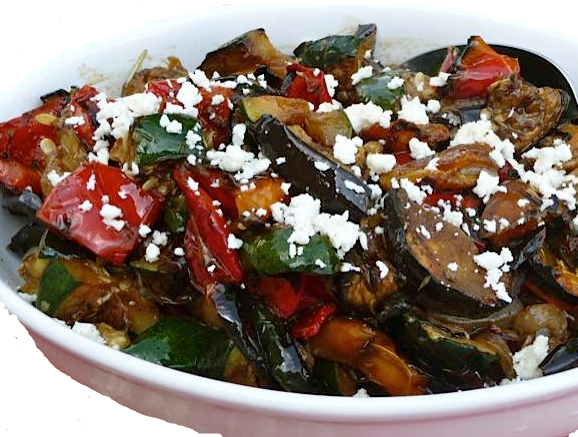 Tender grilled eggplant, zucchini, red peppers, and potatoes are tossed with Greek vinaigrette and topped with a bit of crumbled Feta cheese for a little extra zing. 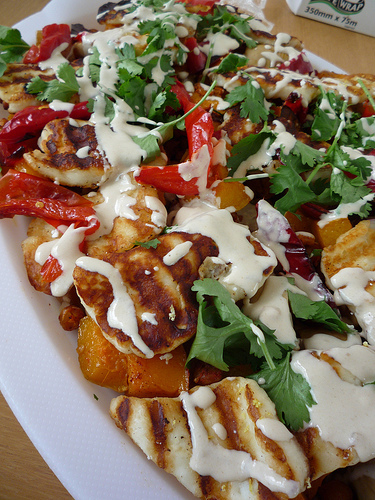 This is a great Summer side dish or light vegetarian main course. Prepare the vinaigrette: Add the ingredients to a small bottle or bowl and shake or whisk together. Allow the vinaigrette to sit for about 1/2 an hour for the flavors to meld. Discard the garlic clove before using. Heat the grill to medium high. 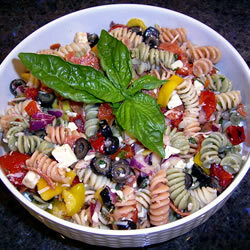 Lightly brush the vegetables with olive oil and grill for about 5 minutes on each side or until tender. Cut larger pieces into chunks and toss with dressing in a large bowl. 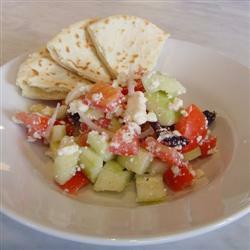 Sprinkle with crumbled Feta cheese and serve immediately.